1, Factory directly supply, with best price , and best quality. 2, Suggest the suitable material according to rich industrial experience or customer special request. 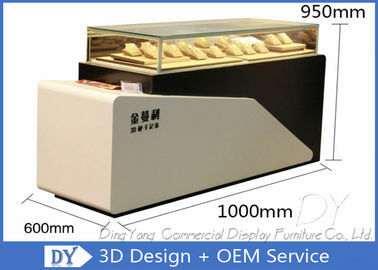 3, Sturdy and durable structure of all jewellery display furniture. 4, Strong and safe glass top to make sure safty in anytime. 5, We supply on-site measurement if necessory. 6,OEM and ODM is welcomed at anytime. 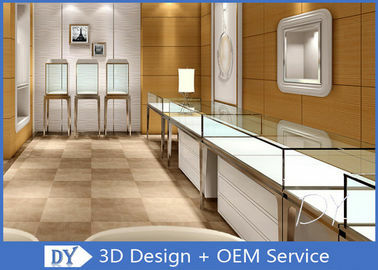 Using Place: Jewelry Store, Showroom, Shopping Mall, etc. 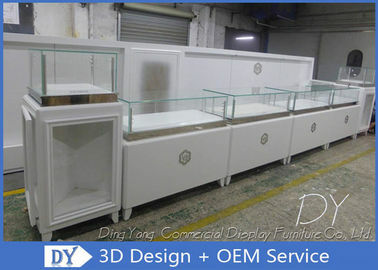 Production: Tempered Glass 45°joint, Stainless Steel Baking Paint, Glue, Sportlights, Sliding door, etc. 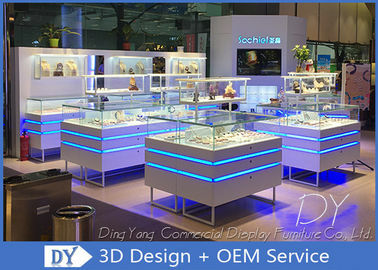 Fixture: LED Light Strip, Spotlights, Locking sliding doors, Premium Electrical Cord with Switch, Customized Logo, Tempered Glass, Cartier style Jewelry Showcase, etc. Cooperation Procedure: TT 50% deposit, 50% before shipment. 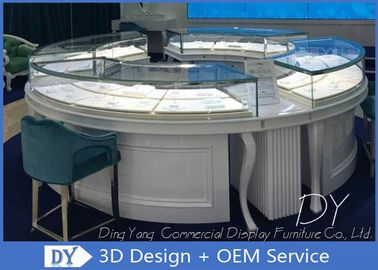 - 15years experience in manufacture shop furniture especially in Jewelry display, watch display and cosmetics fixture. - Experienced sales know very well the standard of exporting, to guarantee shipment smooth. - Professional designer team with senior design experience over 10years. 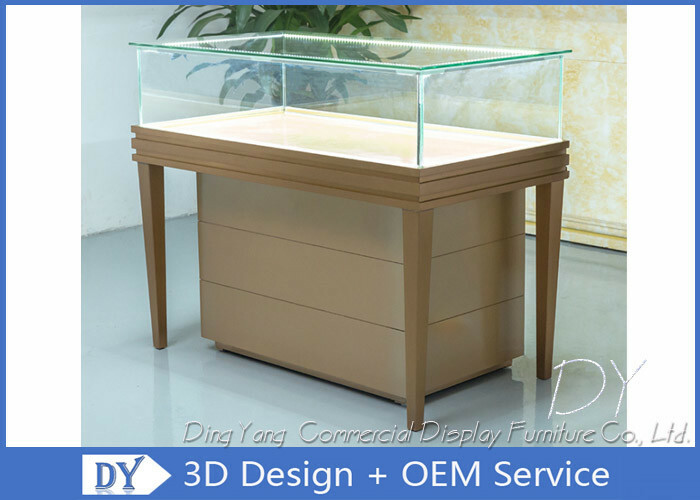 - Eco-friendly E2 MDF widely used in our products. - Fire against material is workable according to customer request & the store status. - Jewelry exclusive LED light. - Tempered glass to guarantee safety and durability. - The international standard S/S to ensure long time shinny. - We do the products with high quality, but only with middle level price. - Sixth with label shipping mark & up tag. 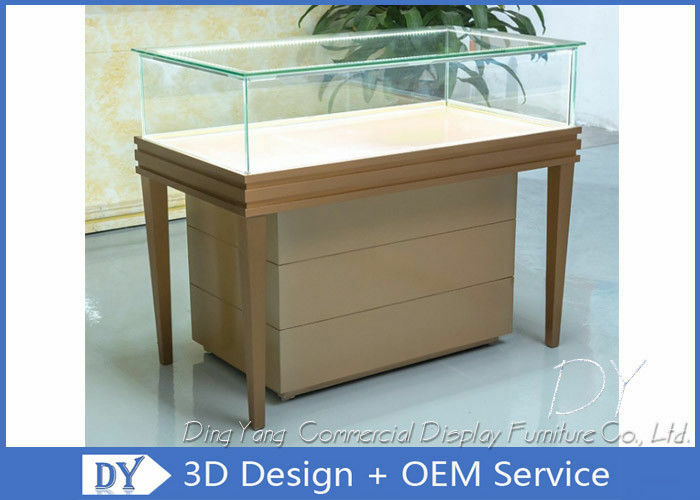 Ding Yang Commercial Display Furniture Co., Ltd.
China Good Quality Showroom Display Cases Supplier. 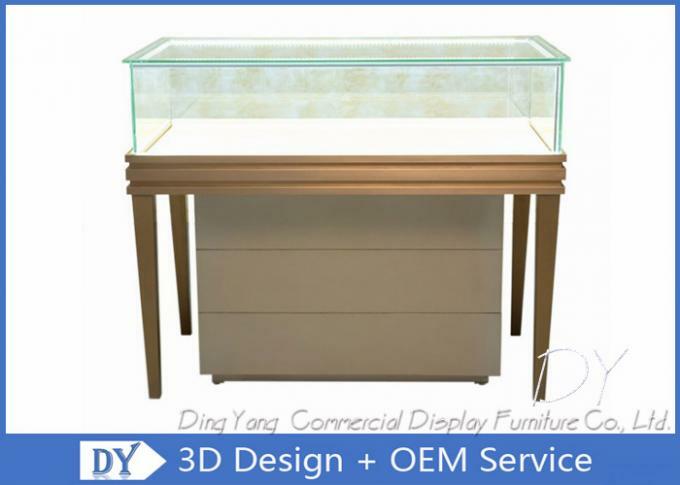 Copyright © 2017 - 2019 showroomdisplaycases.com. All Rights Reserved.